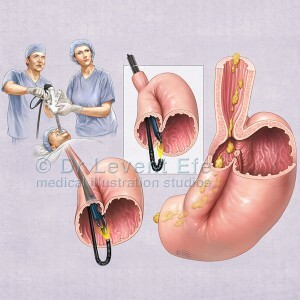 Patient education illustration depicting TOGA-Transoral Gastroplasty, which is a minimally invasive procedure for treatment of obesity. 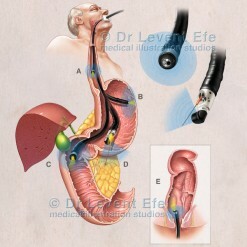 Special emphasis given to the restrictive gastric pouch created with the flexible stapling device. 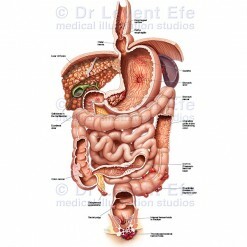 SKU: GIT06. 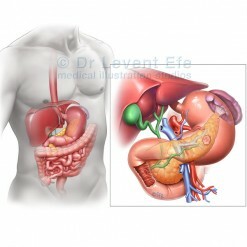 Categories: Gastrointestinal (GIT), Incision Free Weight Loss Surgery. 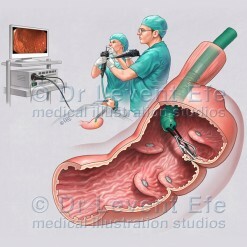 Tags: alimentarycanal, bağırsak, bariatric, BariatricProcedures, bariatrics, bloodPressure, bloodSugar, bloodSugarLevels, bowel, bypass, cholesterol, digestiveSystem, disorder, display, EndoluminalSleeveDevice, endoscopic, endoscopy, excessWeightLoss, exposed, fat, gastrectomy, gastricBypass, gastricPouch, gastrointestinalHormones, gastrointestinalTract, gastroplasty, glucoseMetabolism, gut, IncisionFreeWeightLossSurgery, insulin, intakeRestriction, malabsorption, medical, medicine, minimallyInvasive, modifying, monitor, morbidlyObese, needle, nonInvasive, nonSurgical, obese, obesity, obeziteCerrahisi, operatingTheatre, operation, overweight, procedure, professional, professionals, reducedAppetite, retractor, retractors, satiety, screen, sindirim, şişman, şişmanlık, sleeve, stapler, stapling, stomach, stomachStapling, substantialWeightLoss, surgeon, surgeons, surgery, surgical, SurgicalTreatment, TOGA, TransoralGastroplasty, treatment, typE2Diabetes, unhealthy, weight, weight loss.